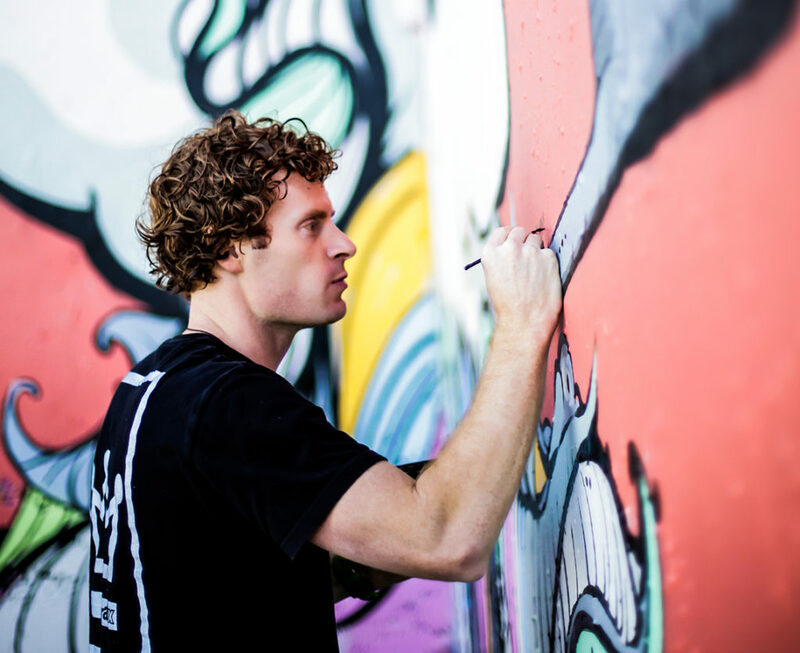 Mike Johnston is a street art evangelist (TRUTH) bringing the message of joy to the masses. His major influences have been travel, comic books, Jesus Cristo, and street art. He has globe-trotted between Europe, Asia, and the Middle East before making Austin his home base. Quickly thereafter, he became known for the portraits of pop culture icons he painted throughout the city. His bright, graphic and illustrative style catches people’s attention. He loves to paint on found objects and on giant concrete walls. One thing he hopes to be true about his art is that it brings a smile.